Find the right beauty products. Finally. We’re on a mission to help people of color (finally) find the right beauty products. 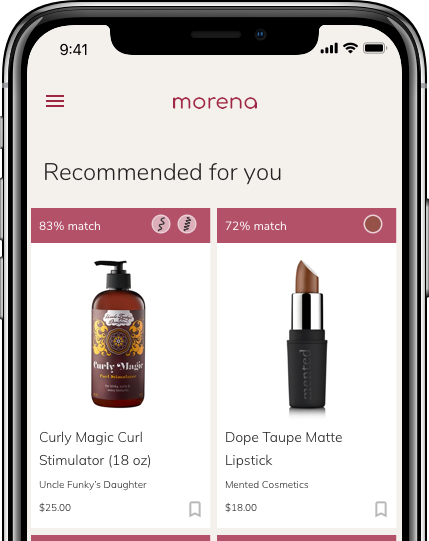 You can use the Morena mobile apps to personalize your product search to match your needs. As you discover products and leave reviews, our technology adapts to your feedback to surface more relevant information. We can match you with a variety of brands and causes from cruelty-free and vegan to minority-owned businesses. Get exclusive early access to our beta today!